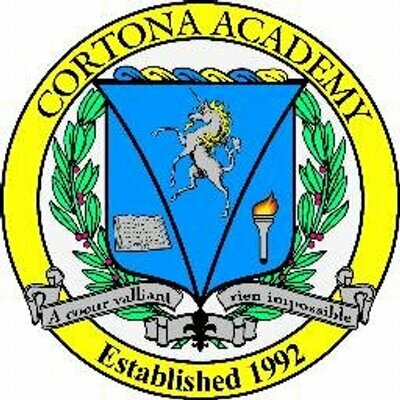 Cortona Academy is awarding as many as 15 full and partial scholarships for the 2016-17 school year! Find out more about scholarships and our stress-free learning environment and high-tech project-based classes at the informational events listed below. To be considered for scholarships for the 2016-17 year, a parent or guardian must attend one of these final two informational events or have attended an open house this past school year. Applications must be received by May 20. Scholarships will be awarded in June. An Informational Breakfast will be held Friday, May 13 from 8:30 to 10:30 a.m. at the elegant Tower Club at Tyson’s One, 800 Tower Crescent Drive in Vienna. This gourmet breakfast is a free parent event for prospective full-time students. You will not only hear about our stellar program, but you will enjoy the spectacular view from the veranda of the Tower Club! Bring cameras! • How students, like Cortona graduates, can get college academic scholarships of up to $110,000 regardless of need and without the stress of AP courses. • How stress-free private education can help students attain the “Brass Ring” while keeping school from destroying a child’s spirit (and the parents’ nerves). • How Cortona inspires students to be self-made and determine their own academic success. This family event on Saturday, May 14 from 1 to 3 p.m. will include lunch, a facility tour, meetings with faculty and an information session on full-time education as well as Summer Camp. The program will be held at Cortona’s Northern Virginia campus at 13505 Dulles Technology Drive in Herndon, VA. Students and their families will be welcomed with lunch while learning about one of the most successful, unique, stress-free education on the East Coast. Learn about our Summer Camps and find out how Cortona’s 100 percent college acceptance rate starts with parents insuring that their children are exposed to technology, STEM, arts, brilliant courses, teachers and study skills programs that are the backbone of their child’s motivation and future. To RSVP for these free informational events, call 703-464-0034 or 301-215-7788 or use the online contact form. Seating is limited at these events, so call today to register.